So Sunday while watching the LDS general conference I was working on some homework... I don't have normal homework I was to make a hat for my costume construction class. 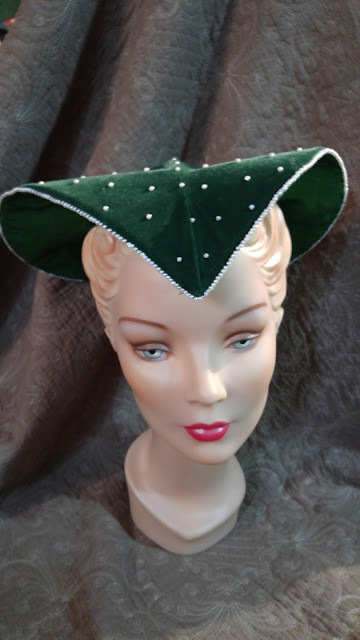 My first time using buckram and milliners wire. I think I did pretty good. My sewing machine was broken so I had to do all this by hand. The hat is covered with a piece of up-cycled green velvet,use to be a curtain. 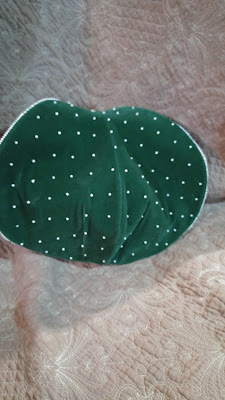 The lining is satin polyester the beads are just some I had jut simple plastic. Took about four hours to make. Although the beads look decorative they actually had a function I used them to tack the inside and the outside of the hat together I am sure there are better ways of doing this but it is what I came up with. 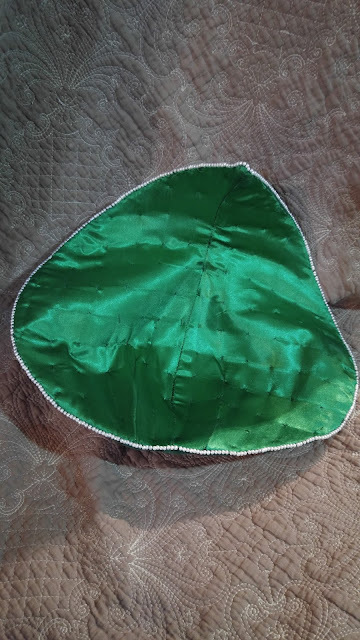 I drew the bead placement on the fabric before I cut out the pattern pieces as I figured the spacing would be hard once it was sewn up. The beads are just plastic kid beads but they do give it a nice touch and didn't cost anything. 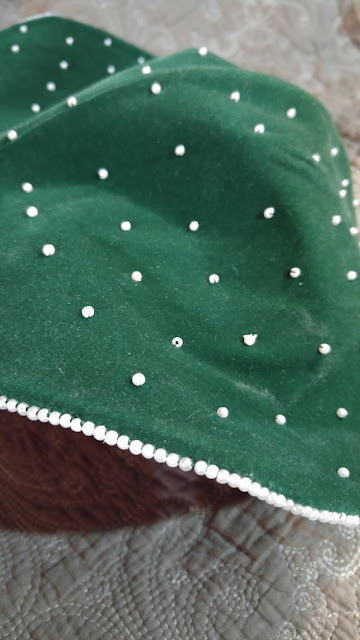 The beads around the brim of the hat are sewn on with a backstitch and each bead is sewn on one at a time and then back stitched before adding the next bead. Takes a while but it is much stronger this way if a bead should break off not all the beads will go dancing across the floor. I also think it looks pretty that way. Next time I should do something to the under part of the hat as well with beads or French knots or something as I don't like the way the stitches look on that side. I was worried beads would get tangled in the hair on that side. 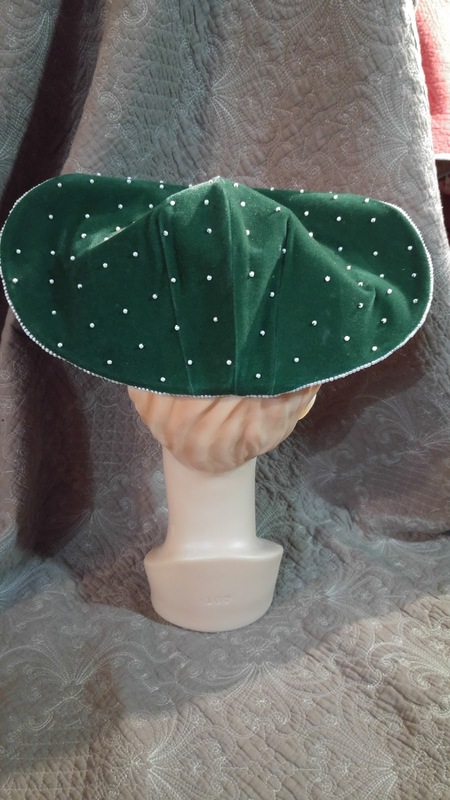 Inside where you can not see and what I forgot to take photos of is buckram and milliners wire and bias tape to shape and form the hat.